Applications for the district’s Pre-K Lottery closed March 1. An email notifying parents of Pre-K placement was sent to parents on Thursday, March 7 and resent Friday, March 8 after it was discovered that not all emails went through. Please be aware that the number of lottery applications exceeded the space available at schools. The district typically receives about 2000 applications annually but only has space for about half that number of students. A random drawing was held to fill the available spaces. All applications were weighted equally regardless of when the online application was submitted. 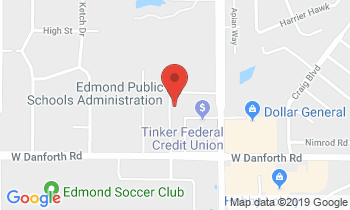 Edmond Public Schools pre-kindergarten programs are free, voluntary, space available programs. Classes are taught by an Early Childhood Certified teacher and each class has a teaching assistant. The maximum class size is 22 students. Please note that parents/guardians are responsible for bringing their children to school and picking them up. There is no bus transportation. A free, half-day program (offered at Clyde Howell, Centennial, Cross Timbers, John Ross, and Northern Hills). Students attend for 2 hours, 40 minutes in either the morning or the afternoon. A free full-day program (offered at all elementary schools with the exception of Russell Dougherty and Clegern). Students attend the entire day. Please note that arrival and dismissal times vary from site to site. NOTE: The district’s pre-k program is reevaluated annually based on space availability, previous year’s enrollment, and staffing priorities. Children must be at least four years of age, but not older than 5 years of age, on or before September 1st of the enrollment year. Parents or legal guardians of students must be residents of the district. Some district schools are considered early start schools, some are late start schools. For Pre-K times, check with your individual school. Click here to view a list of all elementary schools. Four-year-olds are provided with developmentally appropriate learning experiences based on state developmental learning standards and guidelines. Conscious Discipline is utilized for social-emotional development and self-regulation skills. For more information on Pre-K programs, please contact Elizabeth Ging at 340-2838 or elizabeth.ging@edmondschools.net.